On Dec. 18, Congressman Steny H. Hoyer paid a visit to the Arundel Judy Center located at the Arundel Elementary and Middle School in the Cherry Hill neighborhood of Baltimore. While he was there for the visit, Congressman Hoyer (D-Md., 5th) was able to hear an update from the Maryland Department of Education on the progress of Judy Centers in Baltimore and around the state of Maryland, met with educators and program coordinators, and then he toured the facility. Judy Centers – named in tribute to Congressman. 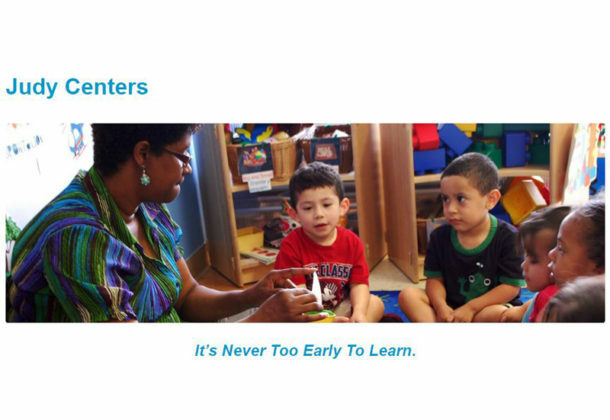 Hoyer’s late wife and longtime advocate for young children, Judith Hoyer – are designed to improve the school readiness for children from birth to age 5 by providing comprehensive early childhood services to children and their entire families. The centers provide Adult Education, Case Management, Child Care Assistance, Developmental and Health Screenings, Family Engagement Activities, Parenting Classes, and Play Groups. The Arundel Judy Center is the largest Judy Center in Baltimore. It provides early childhood education and a variety of support services under one roof to families who live in South Baltimore.